On this episode of the Meal Mentor Podcast, Lindsay interview Kaci about her experience growing up vegetarian, then lapsing to peer pressure, and eventually finding her way back to her true self. Kaci is also here to share some tips about raising plant-based children, depression and anxiety on the Standard American Diet, and how cooking ahead makes her life easier. Can you be plant-based and gluten free? How can you improve migraines? Kaci shares how she eliminated her GI issues. How can an elimination diet help you? How can you manage children's allergies? Kaci explains how she deals with picky kids. What can you do if you don't want to make every meal on the meal plans? Try our FREE 7-Day sample meal plan! Learn more about batch cooking! 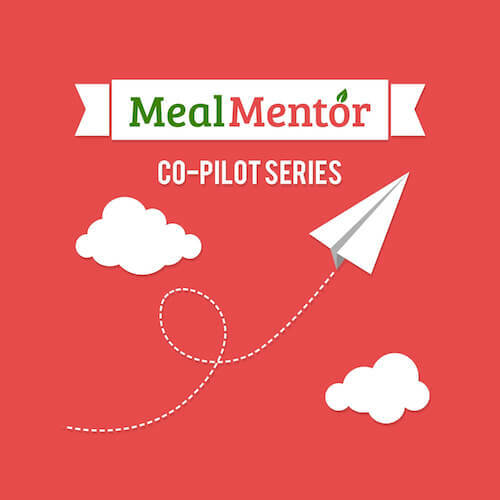 Join the Meal Mentor community here! Follow us on Instagram for daily recipes and inspiration. Aimee's myth-busting, life-changing, 14-month journey on Meal Mentor. On this very special episode of the Meal Mentor Podcast, we're celebrating Lindsay's birthday! In this part one of this interview, Lindsay chats with Meal Mentor member Nikki about how switching from paleo to a plant-based diet helped her lose 30 pounds!